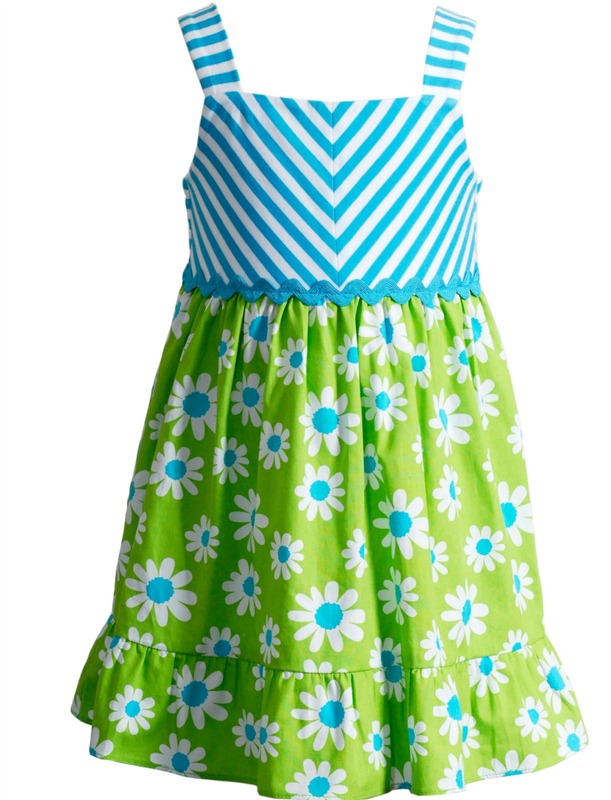 The perfect little girls summer sundress! Adorable blue stripe knit bodice to woven daisy print hem. Machine washable.